As of 2010, Ohio had the 12th highest death rate (PDF) from cardiovascular disease in the country and ranked higher than the national average in all heart disease and stroke risk factors. Clearly, the Cleveland Heart Walk is a crucial piece of the puzzle in raising awareness and understanding of heart disease, its risk factors and treatment. According to the Cleveland chapter of the American Heart Association, the AHA currently funds 48 projects in the Cleveland area, totaling $10.2 million. 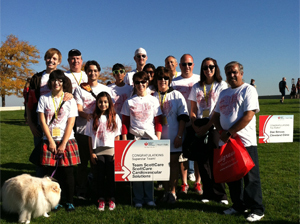 Last year the Cleveland Heart Walk raised $2.5 million, meaning for every dollar raise, $4 went back to locally-based heart disease and stroke research. It's an investment in the health of the Cleveland community that one can feel proud of, particularly in knowing the research conducted here benefits those throughout the U.S.; nearly 2,000 Americans die of cardiovascular diseases every day—one person every 39 seconds. It's important to note, however, that despite all the funds raised, 35 projects ($5.3 million) in meritorious research projects went unfunded in 2014 due to financial resources. There is still so much work to do. 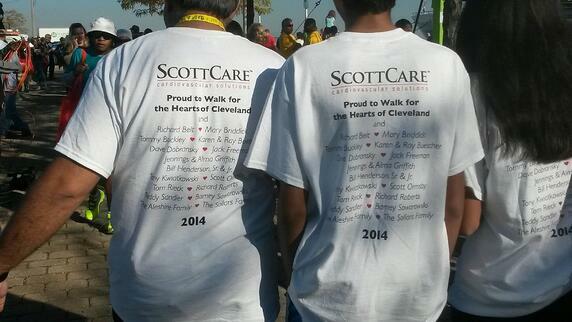 During our first year with the Walk, Team ScottCare raised $4,100 in just over a month for the Cleveland Heart Walk. Last year we managed to surpass our goal of raising $5,000. This year we're hoping to exceed our goal again but the timeline is tight—and we could use your help! 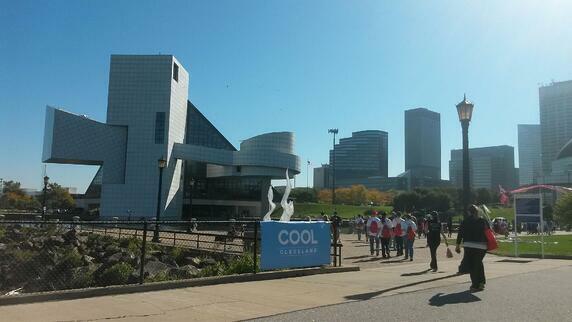 The walk itself is also a wonderful chance for us to explore the highlights of downtown Cleveland—one of the reasons the event is so enjoyable! We start along the shores of Lake Erie, passing FirstEnergy Stadium (home of our beloved Cleveland Browns), the Great Lakes Science Center and the Rock and Roll Hall of Fame along our route. It's the perfect opportunity to join with our colleagues and community for an important cause, explore our home from a new vantage point, and get much needed exercise and perspective along the way. 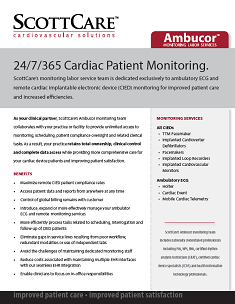 Many thanks to Shamrock Companies, which has generously contributed again this year to our ability to raise funds for Team ScottCare and the Cleveland Heart Walk.